There is a lot going on at your local library. If you’re looking for a relaxing way to stay healthy, check out the Tai Chi classes that are being taught at the library in Chesterfield. Or, if you’re just in the mood to catch a movie, then come visit with us each month for the latest in entertainment. We also strive to have the books you want and we are stocking the latest best-selling authors. We aim to please, so let us know if we don't have what you want and we will try to get it. Don’t forget to check out the Jasmine Digital Library (AudioBooks and eBooks), which is accessible from our library homepage, or directly at (http://jasmine.lib.overdrive.com). View our online catalog to see what we have in stock and search for materials to borrow from other libraries at our SCLends link on the home page or by clicking the following link: (http://sclends.lib.sc.us/eg/opac/home). 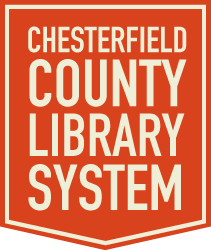 And, if you have an idea for something else that the library could host (at any of our branch libraries), please let us know by emailing us at library@chesterfield.lib.sc.us or by calling us at 843-623-7489.